CONGRATULATIONS, TROYCE & MONROE R. of Ratcliff, AR! Fraukje has been a member of our family for such a long time, but since she could no longer be bred, she didn’t have a purpose to her life and spent it standing in her stall or pasture. We felt that the right thing for her would be to let her have a loving family in her later years that would have the time and love to dote on her as she deserved. They would also ride her and drive her occasionally as well. And as the 2000 FPZV Champion Mare of N.A. 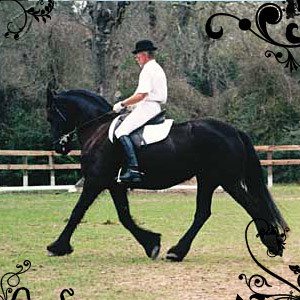 in driving and dressage, we knew she would love to be useful again and Troyce & Monroe would have tons of fun with her! We will miss her so very much, but know in our hearts that it was the right thing to do for Fraujke. 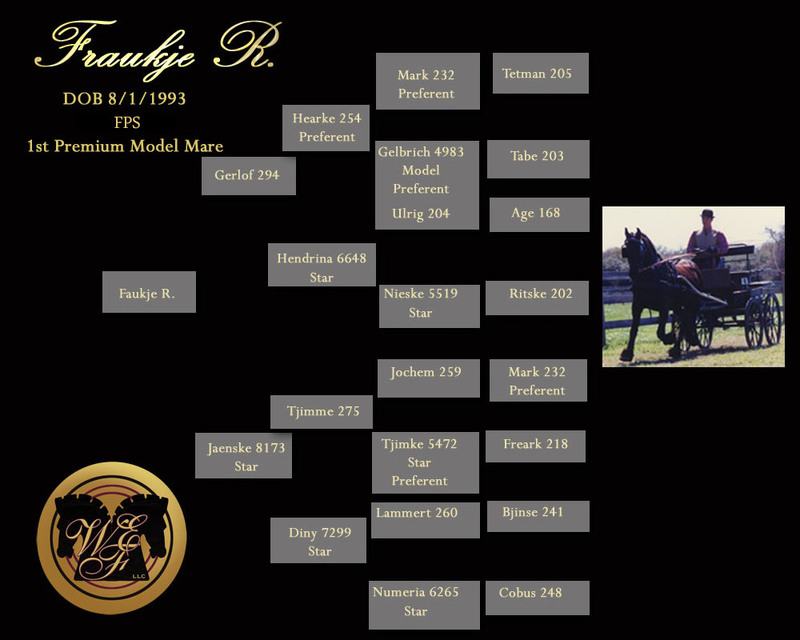 Fraukje R. is a beautiful, 1st Premium Champion Model Mare. She has an outstanding pedigree featuring a truly dynamic Dam line. She passed the MPT (Mare Performance Test) for Model Status in 2000 with outstanding scores for her performance in Dressage and Driving. Fraukje has magnificent powerful movement, with fantastic high knee action, and an incredible reach! And if that weren’t enough, she is a gentle and loving mother with a High Premium Foal Record and very successful offspring.